Are you ensuring that you are monitoring the batteries within your UPS? If your back-up power system fails this could lead to an expensive power outage. 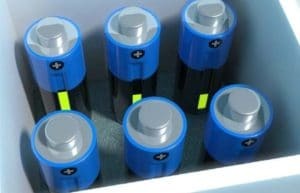 Although frequently overlooked it is important to know the condition of the batteries in a uninterruptible power supply (UPS). These batteries usually have a 3-5-year lifespan but a regularly used system will have a shorter lifespan. Research has shown that 65% of IT directors have experienced outages due to UPS battery failure and this is commonly due to the UPS batteries not charging. Having a properly functioning UPS system is essential if you want to ensure the smooth running of your IT systems and other parts of your business. The UPS will immediately provide backup power during power failure to keep your business running; can bridge the power gap until a standby generator is synchronised; will protect against brownouts, power spikes, voltage dips, fluctuations and complete power failures; will shut down a computer or server in an orderly manner and reduce downtime costs and protect critical equipment. Monitoring your UPS system will allow you to respond quickly if action is needed; means you will be alerted when the battery isn’t performing at full capacity and requires maintenance and can extend the life of the battery with temperature monitoring so the best performance of your UPS is achieved. At the same time monitoring your UPS will optimise energy efficiency, reduce your energy costs and ensure costly IT downtime is prevented. If you want to know more about the UPS requirements you need for your business why not use this UPS calculator? Ecl-ips are experts in all aspects of data centre and environmental monitoring so if you need advice contact us.